Aideliz Jimenez is a legal assistant for the New York City employment discrimination and sexual harassment attorneys at Phillips & Associates. She graduates from LaGuardia College in 2017 with an associate's degree and has acquired real world experience in many different work settings, including a restaurant, a cosmetic and dermatology salon, visual merchandising, and sales. She is bilingual and can interact with people from many different cultures. 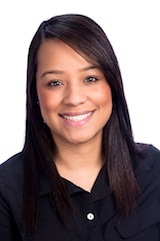 Ms. Jimenez is committed to providing dedicated and compassionate service to Phillips & Associates’ clients. Often, people are anxious and experiencing a great deal of turmoil about their employment law claim. It may be emotionally draining to deal with discrimination, harassment, or unpaid wages, or to confront an employer about a failure to meet its legal obligations. Ms. Jimenez uses her experience from many different types of work to relate to clients, direct them to the appropriate attorney for help, and support them during the sometimes complicated process of bringing a lawsuit for damages. With regard to wages, for example, workers are protected under the federal Fair Labor Standards Act, which sets a minimum wage for the U.S. However, most states have wage and hour laws as well. Employers in states with a higher minimum wage—like New York—must pay that wage. As of 2016, the minimum wage is $9 in New York, and it is set to increase to $15 by the end of 2018. In New York, employers are also required to pay nonexempt employees 1 1/2 times the employee's regular rate for overtime. Overtime is any time that is over 40 hours in a single week for a nonresidential employee or 44 hours per week for a residential employee. In New York, tipped hourly employees may be paid differently, depending on their occupation. However, the hourly wage combined with "tip credits" must bring the hourly wage up to the minimum standards. Meal breaks are required and vary depending on the industry. For example, if you work in a factory, you are supposed to get a 60-minute break between 11 a.m. and 2 p.m. If you are a mercantile employee, you are supposed to receive 30 minutes between 11 a.m. and 2 p.m. When these breaks may be taken varies depending on the time that a shift starts. In some cases, the labor commissioner allows a shorter break, but the permit to do this must be in writing and posted in the main entrance of your workplace. Under section 215 of the New York State Labor Law, it is illegal for your employer to retaliate against you for complaining about a labor law violation to your employer, complaining to the Labor Department, giving information to the Labor Department, or testifying in an investigation under the Labor Law. The New York State Department of Labor may assess a penalty against your employer, and you also have the right to bring a private lawsuit in court for retaliation. You have two years to bring a lawsuit. It is wise to retain a knowledgeable New York employment attorney to determine your rights and evaluate whether it is appropriate to file a lawsuit.